One of the most elegant streets in Madrid, Calle de Serrano is a long, busy thoroughfare where many old businesses have been replaced by contemporary stores. The latest addition is Malababa, a shop showcasing the leather bags and shoes of designers Ana Carrasco and Jaime Lara. 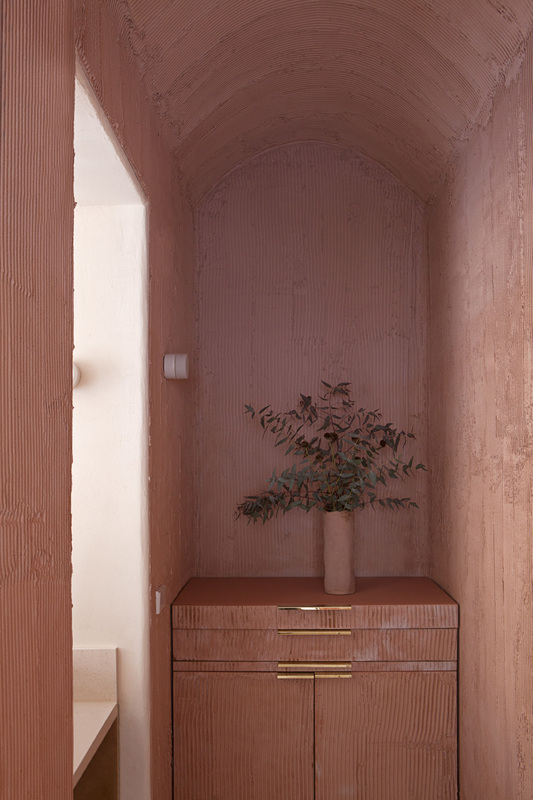 Brass rods – and the second terracotta screen – highlight a staircase and accentuate the ceiling’s generous height. The archway is finished with pigmented mortar. 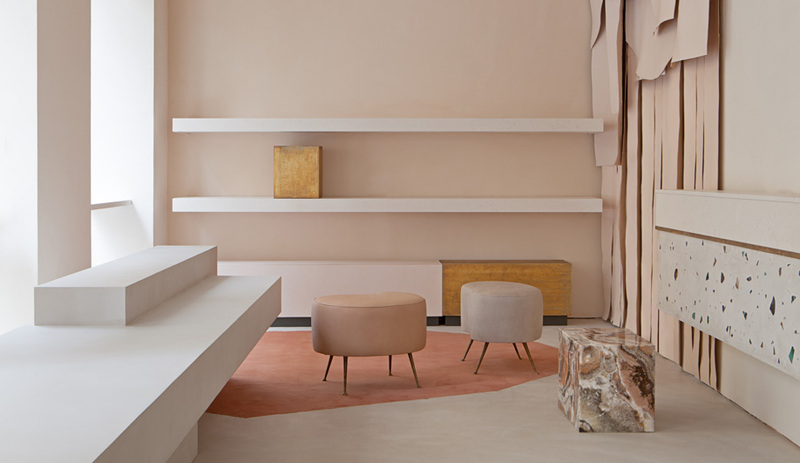 To transform the former auction house into their flagship, the pair engaged the local designers Ciszak Dalmas along with Matteo Ferrari Studio. The first thing the team did was open up and enlarge the four windows on each side of the building, which sits on a corner, in order to show off the merchandise to street traffic and bring in natural light. 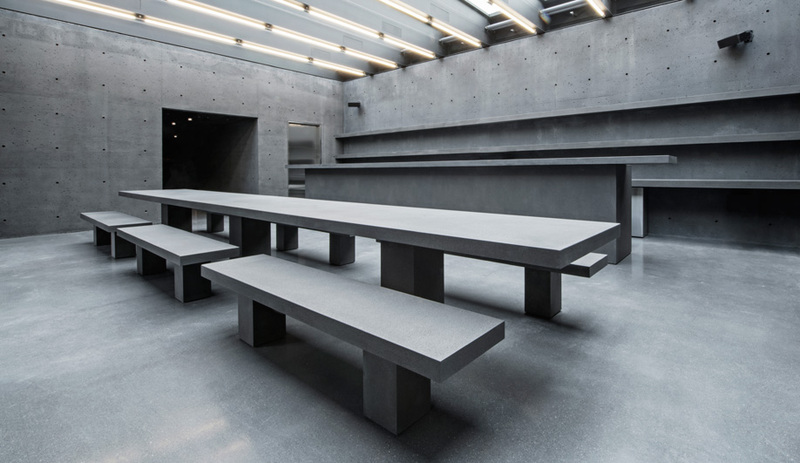 The 160-square-metre space, featuring 3.9-metre ceilings, is organized into two capacious areas on different levels. 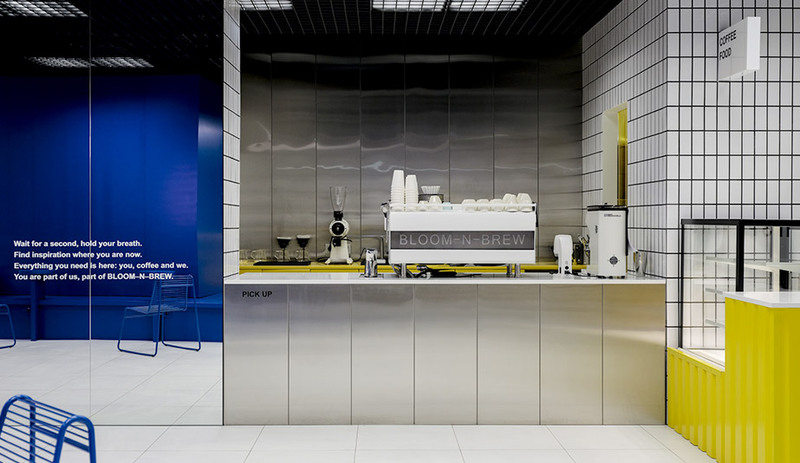 The entrance is devoted to displaying bags and small objects, while the upper section is dedicated to shoes and to providing space for customers to sit down and try them on. 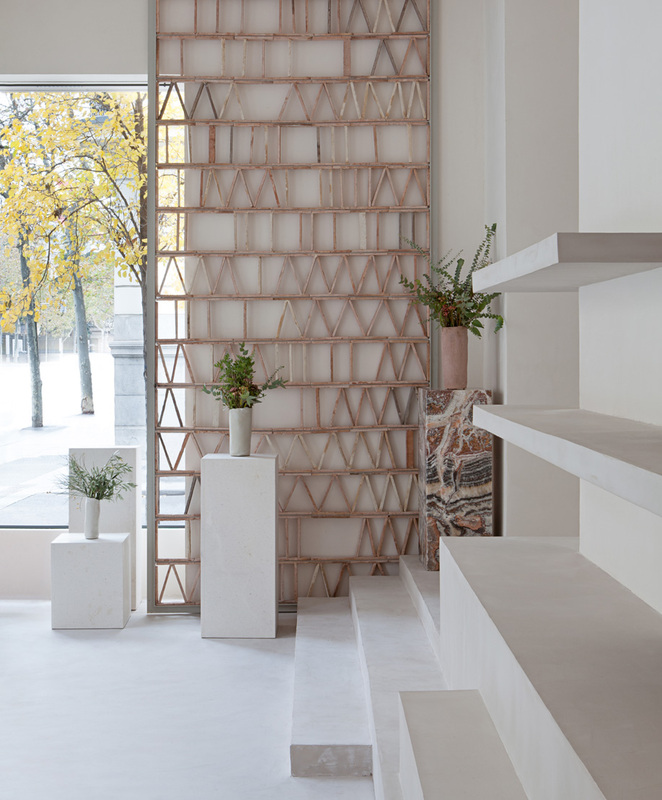 Placed in front of a window, one of two mobile terracotta screens creates a “background scenography,” according to design firm Ciszak Dalmas. In an effort to reflect Malababa’s core values, which emphasize authenticity, raw beauty and sustainability, Ciszak Dalmas used local, ecologically friendly materials, imperfect textures and a natural colour palette. “The whole project was an opportunity to challenge the use of conventional finishes,” says Alberto Gobbino Ciszak, who runs the studio with Andrea Caruso Dalmas. 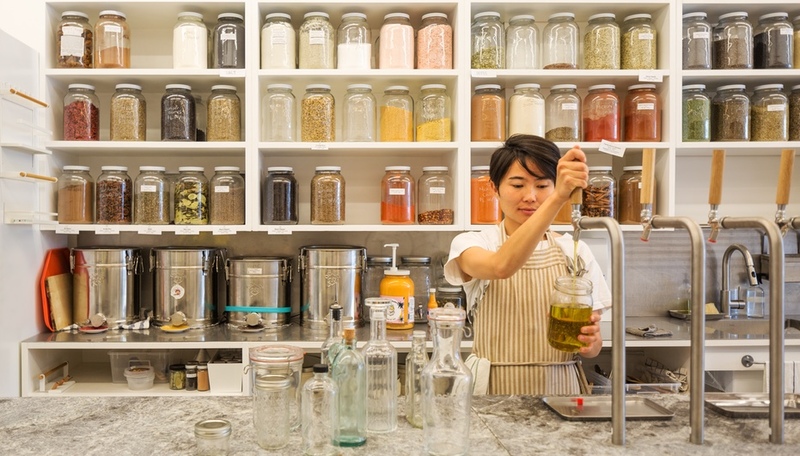 The main walls are a mix of Galician clay, white marble powder and non-toxic food thickeners. This composite material regulates air moisture and temperature, keeps the space free of bacteria and helps save energy. Brass rods highlight a staircase to the basement level; where they extend to the ceiling, they accentuate the height of the interior. Two mobile lattice structures are positioned against the window and on the staircase leading to the basement. With their geometric pattern of flat, handmade bricks in a variety of muted hues – from pink to yellow to white – the lattices help to “alter people’s perception of the space,” says Ciszak. Against this neutral canvas, strategically designed elements stand out. Mobile plinths, for example, serve as display pieces and can be rearranged as required. A number of them are made of limestone from Seville, while some are covered in the soft leathers that Carrasco and Lara use to fashion their products. Still others are made out of small pieces of agate, an element that Malababa incorporated into one of its signature bags. 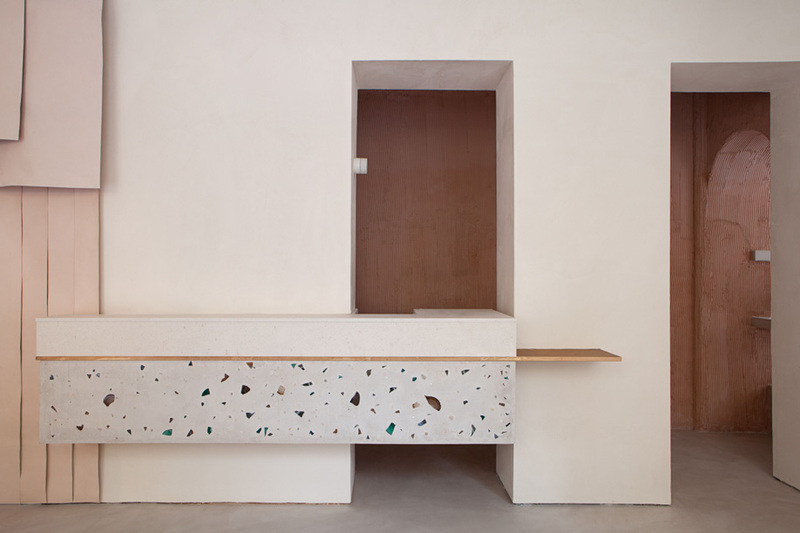 The same stone was paired with cement to create a cantilevered “terrazzo” counter. 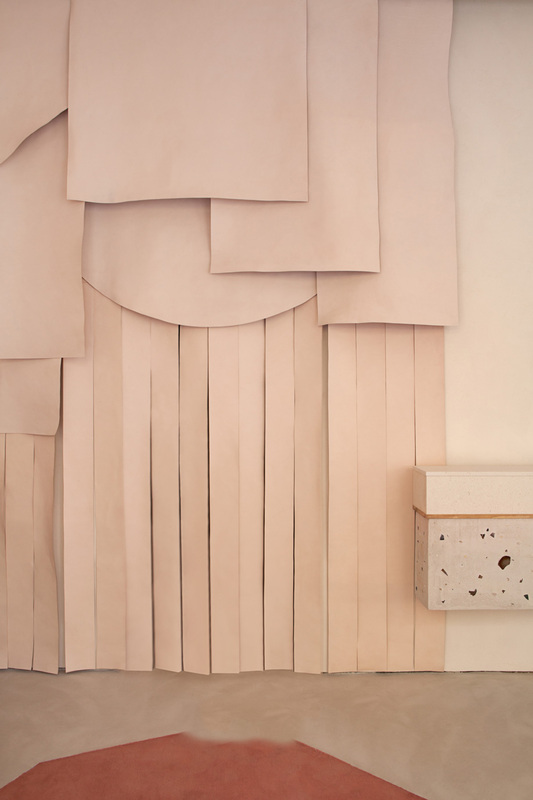 Behind the counter, a small, grotto-like space for the cashier has been covered with Pegoland, a tile mortar that the designers rendered rough yet warm by mixing it with a pink pigment, for “an elegant touch of colour.” But the pièce de résistance is an idiosyncratic natural-leather curtain assembled by an Argentinian artisan in the Malababa workshop. Made from large, irregular offcuts of vegetable-tanned cowhide leather, it serves as a perfect/imperfect emblem of the brand. 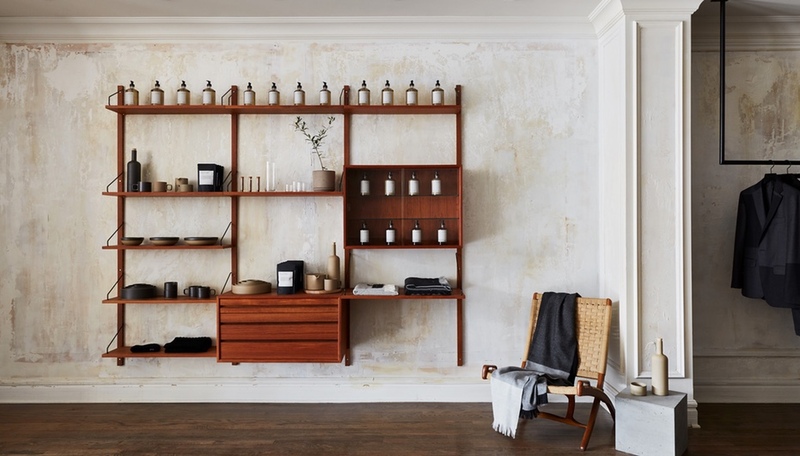 Malababa artisan Osvaldo Ruben Thomas created an evocative wall piece out of vegetable-tanned leather offcuts – the same kind used in the brand’s accessories.